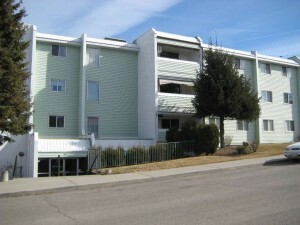 Rare 3 bedroom condo with city views in adult oriented complex. Updated flooring and paint. Open floor plan with in suite laundry, lots of storage and spacious bathroom. Extra storage unit included on the same floor. Not a ground floor unit. Complex features an indoor pool, and recreation facility. Lots of parking and underground garage stalls do not come with the unit and new owner must apply with the strata. Flexible possession, easy to show.